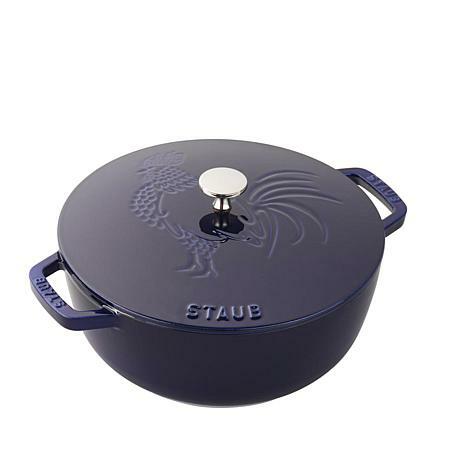 Engraved with a proud rooster, the mascot of France, this French oven will make every dish special. 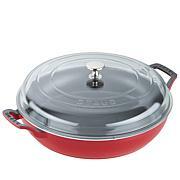 The beautiful lid features Staub's curved self-basting spikes - the innovative Chistera drop structure - that create continuous condensation for flavor-enhanced food. 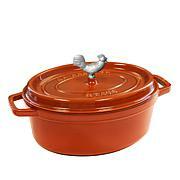 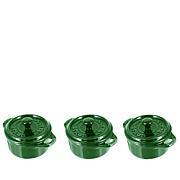 Use this French oven to slow cook meat, potatoes and vegetables, and cook casseroles, eggs and desserts as well. 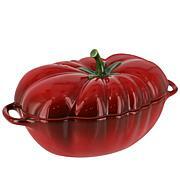 The enamel finish flows beautifully from oven to table.